Tommy Paul announces he's going pro to Atlanta radio personality Sam Crenshaw. 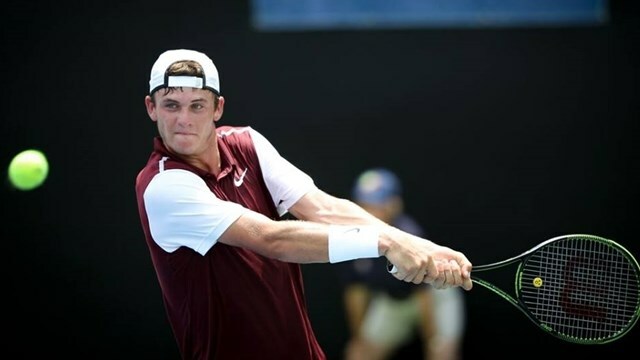 Two players who seemed headed to play at the University of Georgia, Tommy Paul and Walker Duncan, were pitted against each other in their ATP World Tour debuts. However, Paul gave the Georgia faithful two disappointments: he defeated Duncan and then announced he wouldn't be playing college ball. 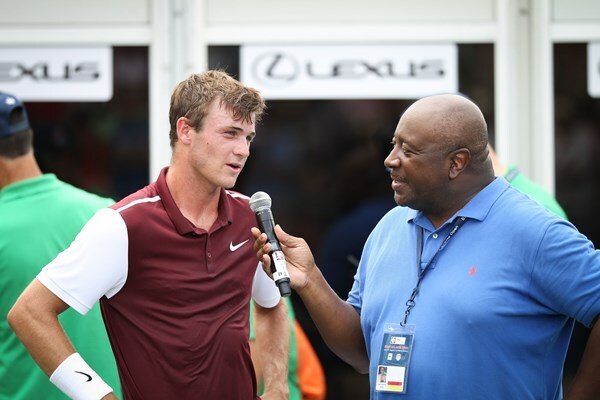 With a crowd full of Duncan supporters, the 2015 French Open boys' champion Paul was able to fight off hecklers and the Atlanta native 6-3, 7-6 to move on to the second round of qualifying. Duncan, a blue chip player according to TennisRecruiting.net, managed to keep the match close despite 10 aces off the racquet of Paul and four breaks of serve. The match seemed inevitably headed towards a third set when Duncan gained control of the second set after breaking Paul at 6-5. Paul was able to break back and send the set to a tie breaker. Entering the second set tiebreak, Duncan maintained momentum prolonging Paul’s victory by saving three match points, but the world No. 454 prevented his opponent’s comeback attempt, taking the tiebreak 11-9. Paul, from New Jersey, has recently signed a deal with Nike back in June. He announced to the audience that with this win on his resume, he has decided to forego college tennis and will go pro. Paul will face Japan’s Yuichi Sugita Sunday for a spot in the qualifying finals on Monday.